Modernism is a story men tell themselves. Told often enough, the story takes on the status of history. The standard narrative of the new art in early 20th century Vienna is especially egregious in ignoring the women who participated considering how many of them there were. The invisibility of patrons like Sonja Knips or Lili Waerndorfer is easier to understand than that of artists who, after all, leave works behind with their names on them. Which brings me, for the second time in these columns, to Broncia Koller-Pinell (1863-1934) . Sometimes referred to only by her married name of Koller, she was an established artist of thirty-three when she married. 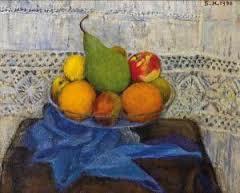 Koller worked in all the major genres of Modernist art: portraits, nudes, landscapes, interiors, and still life. Schooled at the Academy of Art in Munich, a city with its own Secession group, she studied woodblock printing in Vienna with the accomplished Adolf Bohm around 1900. Like her teacher, Koller adapted the recently discovered Japanese medium of the ukiyo-e print to local imagery. Instead of pure japonisme or stock symbols of Art Nouveau (think: swans, lotus blossoms, etc. ), Koller created strong images of Austrian landscape and working women, even the extremely specific Roof Of The Vienna Theater From A House At Weinseile Number 6. 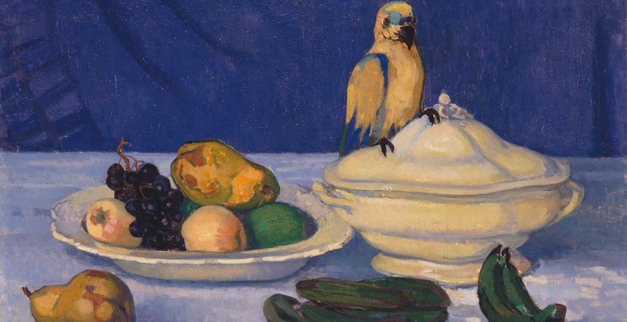 Koller’s work moves away from the Jugendstil toward the even newer spare modernism. At the 1908 Kunstschau, a celebration of Emperor Franz Josef’s 60th jubilee, Koller had a great success, In one gallery was a group of her paintings and in another a wall was devoted to her woodblock prints. It was there that Egon Schiele first saw Koller’s portrait of her mother, the model for his portrait of Hans Massmann. Koller exhibited frequently, at the Kunstschau in 1908 and again in 1909. and elsewhere. 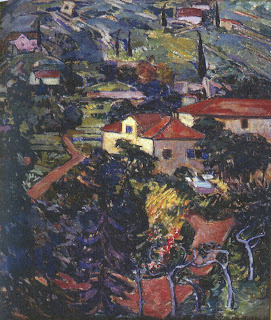 In 1911 Koller had a joint exhibition with Heinrich Schroder at Carl Moll’s Galerie Miethke. In 1919, Koller participated in the debut exhibition of the Aquarius group in Salzburg. She also made the all-important hanging decisions for the Sonderbund at Galerie Miethke. It is interesting to compare Koller's Arco with Moll's House Of Therese Krones in Dobling- Vienna (c.1912-14, de Grosz Collection, Vienna). Painted at about the same time, how the similar elevated street views, how different the results between Koller's exuberant brushwork and fauvist style palette from Moll's delicate colors and restrained realism, and each impressive in its own way. Beware over-generalizations in art; it is a mirage created by our desire for a neat story. Koller kept an apartment in Vienna and a studio at Naschmarkt. Among her close friends were Lou-Andreas Salome, whose portrait Koller painted, and Alma Mahler. Broncia’s brother Friedrich became Salome’s lover. and the foursome was often together. The wealthy Pinell family maintained a country home at Oberwaltersdorf that Broncia inherited, and where she painted Harvest, one of her most popular works. When the Emperor purchased Harvest for the Belvedere, friends reported to Koller on the excitement that greeted its public debut there. 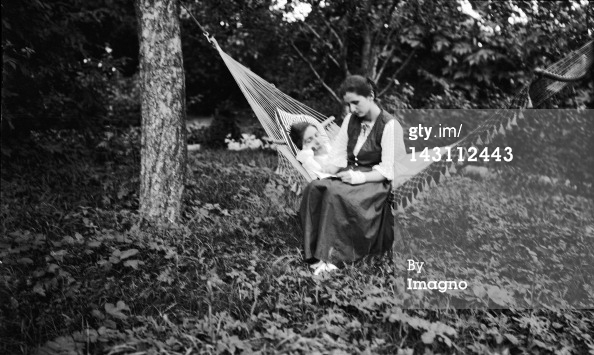 Alma Mahler who often visited the Kollers’s summer home in Oberwaltersdorf with her daughter Anna . Koller’s son Rupert and Anna married, briefly in 1921, but when Anna left Rupert Koller the friendship disintegrated, not helped at all by a plat Bocksgesang (Goat's Song), written by Alma's new partner Franz Werfel, a poorly-disguised chronicle of the unhappy marriage in five acts. Other frequent summer guests were Gustav Klimt, Josef Hoffmann, and Egon Schiele. Broncia Koller was a friend and mentor, to the younger painter Schiele. In 1918 Koller painted a double portrait of Schiele and his wife Edith. This was also the year of the influenza epidemic that took both Schieles, within days of each other. Edith Schiele was already so ill that she had been unable to attend the funeral of their friend, Koloman Moser, who had died at age forty-nine from throat cancer. 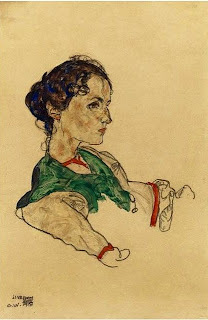 Months before he died, Schiele made a watercolor drawing of Koller's daughter Silvia. 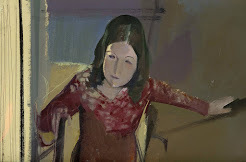 As an adult, Silvia Koller (1898-1963) became a successful painter. Koller-Pinell was Jewish; her husband Hugo Koller was not. 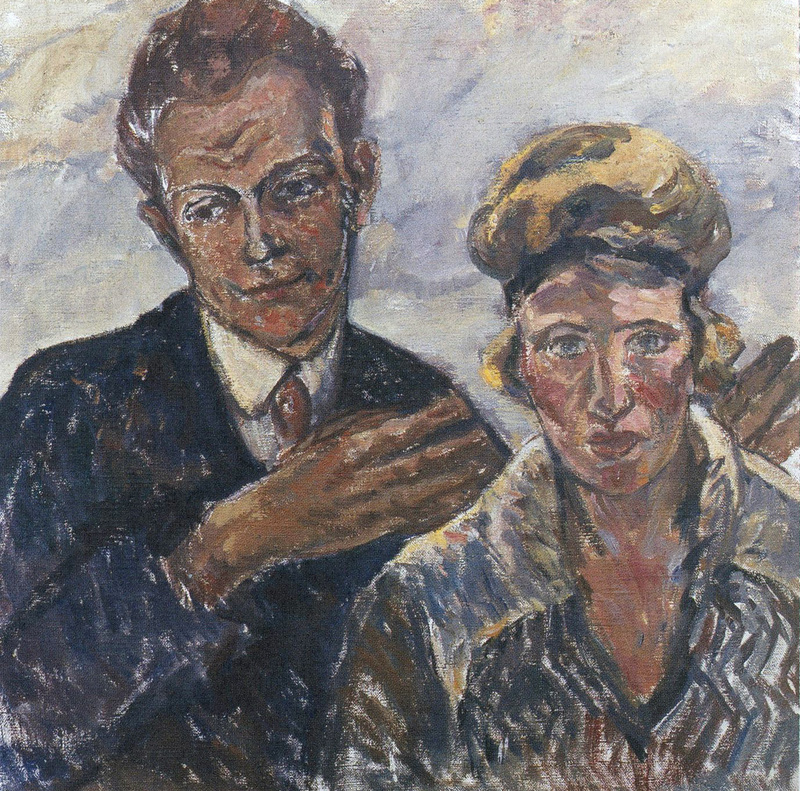 For her, the increasing anti-Semitism in the Kunstschau after 1932 began the erasure of her artistic reputation. In the decades after Koller’s death, the importance of her work was minimized even by men who had praised and supported her in life. It takes repeated acts of rediscovery to keep art alive and available. For more about Broncia Koller. 1. Broncia Koller - Still Life With Parrot, 1910, Austiran national Museum, Lower Belvedere, Vienna. 2. Broncia Koller - Rooftop Of the Vienna Theater From A House At Weinseile 6. 3. 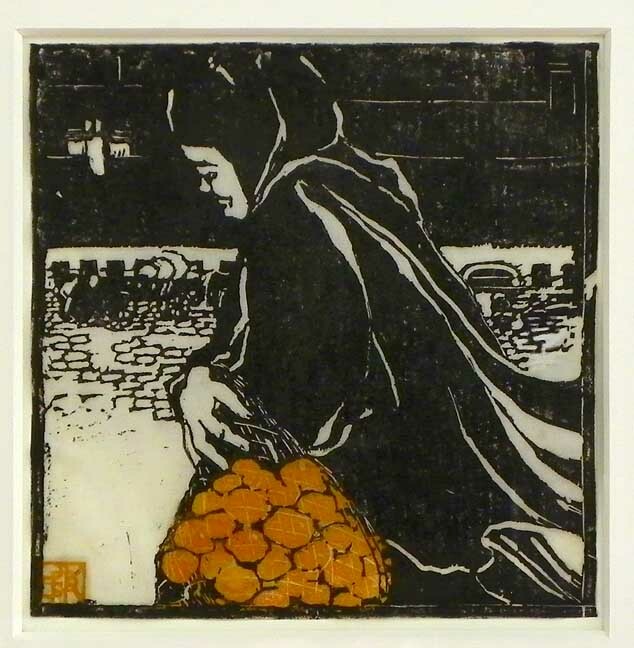 Broncia Koller - Woman Carrying Food, undated, Medaille College, Buffalo. 4. Broncia Koller - Arco, c. 1910-12, Eisenberger Collection, Vienna. 5. 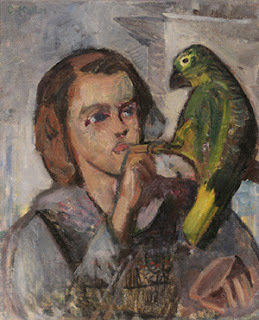 Broncia Koller - Anna Mahler With A Parrot -undated, courtesy of Austrian Art Net. 6 Broncia Koller - Portrait Of Egon and Edith Schiele, 1918, Austrian National Library, Vienna. 7. Silvia Koller - Still Life With Oranges, 1956, private collection. 8. Egon Schiele - Portrait Of Silvia Koller, 1918, private collection. 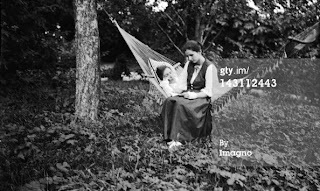 9.. unidentified photographer - Broncia and Silvia Koller At Oberwaltersdorf, 1915, Getty Archive, Los Angeles. Thank you so much for these wonderful posts from an exciting period in art history and history! Very interesting, Jane, and "justice" for this woman in art story. I searched her name in "L'aventure de l'art au XXe siècle" : nothing ! How possible ! Beautiful Still Life, "Arco" and the "Double portrait of Schiele and his wife Edith" : the hands of the painter are turned to his wife but without touching her. "Translate The blue lantern" : good idea. First reading in English, then, when it is too difficult, new reading in translation. Now it will be easier, thank you. Christian, welcome. Turns out, this was a more exciting period in art than we knew. Why Vienna was more open to women artists than other cities - Paris, for instance - is a subject that begs for examination. Tania, all too possible, I'm afraid. I'm glad that the translate function is available now. Reading "Textes et Pretextes" in the original helps me keep up my French! How do you pronounce Broncia? Bron-see-a or Bron-cha? Hello, Rex. A good question. The artist was born Bronislawa Pinelles in the former Galicia. Broncia was the Germanized version of her first name and from what I can find about pronunciation I would think Bron-tsey-ee-ah comes out like your first choice. What a fabulous artist, without argument! Thanks for your comment. There used o be a portrait by Broncia of her mother in the Belvedere Gallery. Does anyone know where it has gone. Welcome, George. I hope someone who reads this can answer your question. According to Wikipedia, the portrait "Mutter", painted in 1907, is still in the collection of the Belvedere Gallery. Interesting question as it is such a good painting. I'm so happy to hear that , not only did you get a prompt answer to your question, but that Broncia Koller's paintings will be on display again soon. I will keep looking for information about this happy event. Thanks for letting me and my readers know!